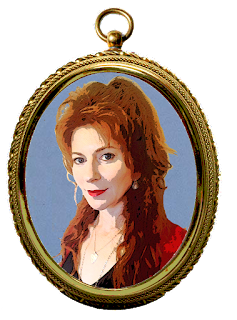 Alison Goodman is the author of the Lady Helen series, a trilogy about historical and paranormal adventures set in Regency. The first book, 'The Dark Days Club,' was released this month. Alison is also best known for her bestselling duology, EON and EONA. A. The idea for the book came to me while I was on a tram coming home from a writers’ conference. I had been to a session about researching the Regency era, and as I sat looking out of the tram window, I idly asked myself what kind of Regency novel would I like to read now? The answer came in a rush: a mix of everything I loved about Jane Austen and Georgette Heyer together with the excitement and delight of a supernatural adventure. I scrabbled for a pen and paper and by the time I got to my tram stop, I had the outline of The Dark Days Club. Q. Did you have any difficulty keeping up motivation while writing? A. I love all aspects of writing a novel–-researching, planning and the actual writing-so my motivation is good most of the time. However, I sometimes get a tough patch around the 40,000-word mark in a manuscript. It is a kind of limbo point where I am past the excitement of the beginning but I’m not quite at the big moment in the middle. I am aware of it now, so I know that the feeling will pass if I keep steadily writing and finding the delight in each scene. Q. Sum up your career as an author in 3 words? Q. Have you always wanted to write? A. I have always written stories; my mother still has a storybook I put together when I was in Grade 1. By the time I was in Grade 4, I wanted to be a writer, but then, in my teenage years, I changed my mind and wanted to direct films. I started to study filmmaking at university and part of the course was to write a short film. Mine got chosen to be made, and during that process I realised that I enjoyed writing the film more than I did directing it. So, I changed my course to professional writing and discovered that my real love was writing novels. Q. What are your next writing plans? A. Book 2 of the Lady Helen series-set in Brighton during the summer social season-is already with the publisher and is set to come out next Christmas/New Year. I am now working on Book 3, which is set in Bath during the winter social season. I am also getting ready to tour the USA with The Dark Days Club in March. I think it is going to be about nine cities in eleven days so that will be full-on fun! See my review for 'The Dark Days Club' here.